Thursday, July 11, 2002. Philadelphia, PA. Photos by Mike Levin. - Global Education and Advocacy. 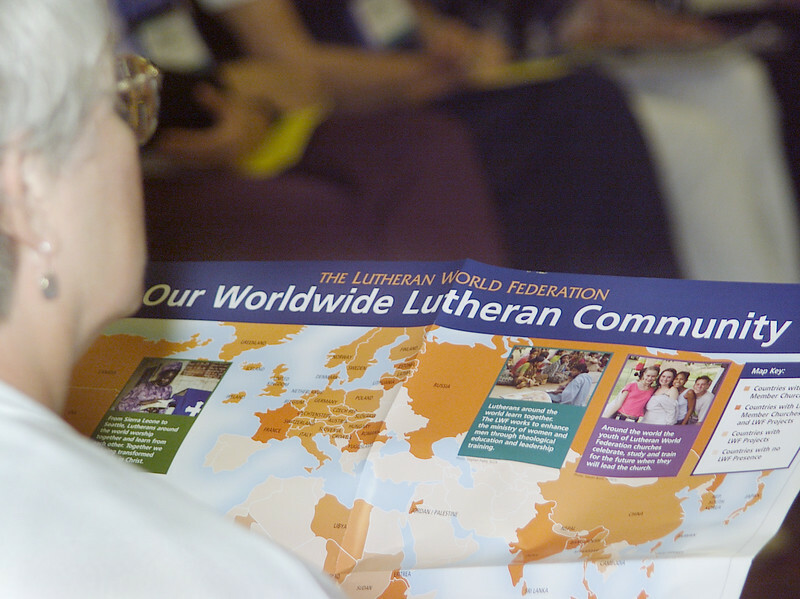 Some of the ELCA Global Advocates, primarily from the United States look at a Worldwide map of the Lutheran Community.